Nuts, also called chocks, artificial chocks, and micro-nuts, are simple climbing tools that are placed in cracks in a rock surface and then attached to a climbing rope and climber who clips a carabiner or quickdraw onto it. 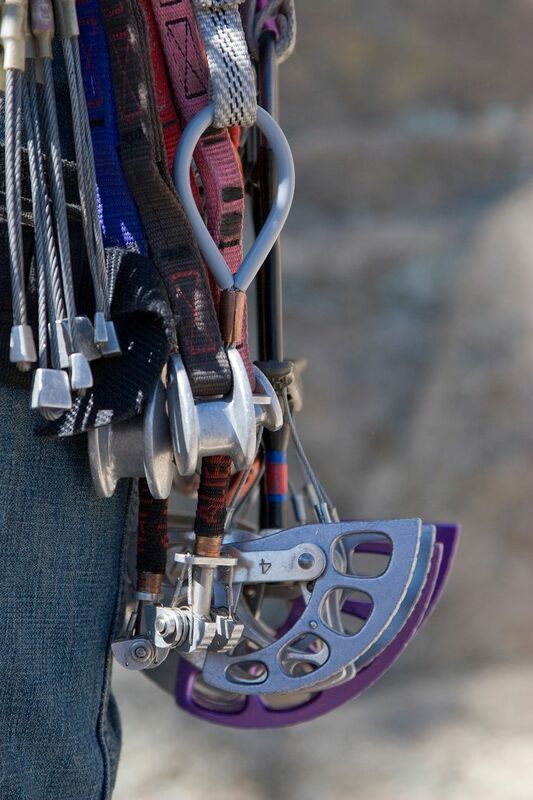 These pieces of metal of various sizes and shapes are wedged and jammed into crack constrictions by a lead climber, protecting him from the dire effects of a fall as he moves upward and securing him and his partner to the anchors at a belay station. Despite their simplicity, nuts usually offer safe, strong, and secure gear placements and, if they are placed properly, will not come out of a crack. If a well-placed nut is weighted by a fall, the nut usually wedges itself tighter into the rock. To be a safe and competent climber, you need to know how to place good nuts for both lead protection and belay anchors on traditional routes. If you don't learn how to place and evaluate your nut placements, then you're going to have problems or be in an accident. Learn how to use your climbing equipment like nuts and you will increase your safety margin on the rock. Follow these 10 tips to place better and more effective passive nuts when you climb. Tapered nut placements are often totally bomber. Look for narrow slots and constriction in a crack to slide and fit nuts into. 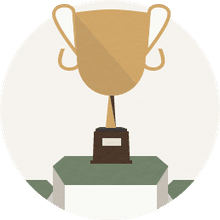 Pick the easiest and most straightforward placement for your nut-it's easier to place; it's usually the strongest placement and it's easy for your second to clean. Use big nuts whenever possible. A large nut is usually more secure than a small one or a micro-nut. Bigger nuts have not only a lot of mass but they also have more surface area to contact the rock surface than small nuts. Big nuts also have thicker and stronger cables than small wired nuts so they're less likely to break under a load. Look for quick placements in cracks. If you're standing on small footholds and hanging on with one arm so you need to get a nut in fast. Go for the quick and easy placement rather than a more complicated and creative one. Look for a nut placement, recognize a good one, and then slot your nut. There are few perfect nut placements. Don't mess around trying to get a perfect placement, especially if you need to keep moving to avoid getting pumped. Place your nut and get climbing again. If the nut seems weak, place another one as soon as possible. You can always place two nuts that are not great placements and then equalize them with a two-foot sling to distribute a possible fall load on both of them. Place, clip, and jerk. After placing a nut, clip a quickdraw to it and then yank down hard on the nut to seat it securely in the crack. This is usually a quick downward pull in the direction that the nut would be loaded if you fell on it. The reason to do this is to not only seat the nut, tightening it inside the crack, but is also a quick test to make sure it is a secure placement. Get maximum contact between nut face and rock. If you don't seat your nuts, then they can possibly walk out of the crack as you climb above the placement. Be careful not to dislodge nut placements with your body, rack, and rope as you climb past them. Place nuts in their primary position. Nuts can usually be placed several different ways. Figure out what the primary, preferred, and strongest position for a nut and use that placement whenever possible. Tapered nuts like Stoppers as well as larger nuts like Hexentrics can be placed sideways or endwise; this is, however, not the primary position that they are designed for since there is decreased nut surface area that contacts the rock surface. Instead, the primary and strongest position is placing the nut lengthwise so there is more surface contact. Instead of placing a nut endwise, place a larger nut lengthwise for more security. Protection is only as strong as the rock. The nuts you place are only as strong and secure as the rock that you place them into. Nuts can pull out of rotten and loose rock under small loads since the rock breaks away as the nut is loaded. Huge outward forces are created on a nut when it is loaded by a fall. Never set nuts or other protection behind flakes and blocks or in rock that would disintegrate under a load. If you fall, you don't want your pro pulling off chunks of rock that could hit you. Placing Hexes takes practice. For Hexentric or six-sided nuts, look for bottlenecks in a crack and cracks that pinch down. Hexes fit in cracks both sideways and endwise. Practice placing Hexentric-style nuts before using them. Climb a lot and place lots of nuts. The more you lead and place nuts, the better you will become at recognizing and evaluating nut placements. You will also become better at quickly deciding what size nut will fit the placement in front of you. If you're not experienced at placing gear, follow a more experienced leader up a lot of routes. Look at their nut placements to learn what works. Also, ​cleaning nuts helps you better recognize good placements. Practice placing nuts on the ground. Besides seconding routes and cleaning nuts, improve your nut-placing skills by practicing on the ground. Find a section of cliff with different crack sizes and place lots of nuts. Try to quickly analyze the placement, slot the nut, jerk it tight, and then test it by bouncing on a foot sling clipped to it. If the nut rips out, you learned something about placements. Ground practice is great for learning how to get good placements in thin cracks and seams, bottoming and flared cracks, and weird pods and pockets.